In der Nase wunderbare Aromen von dunkler Kirsche, Schokolade und leichter Würze. Am Gaumen spiegeln sich diese wieder, gepaart mit süssen Mandeln und einer tabakigen Note. Eine reichhaltige, samtige Textur mit wunderbarem Säurekern. 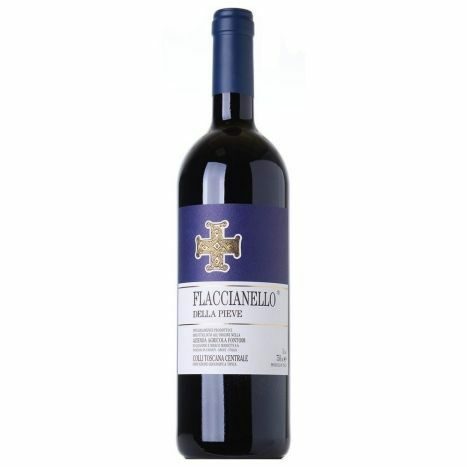 Like the Vigna del Sorbo, the 2014 Flaccianello della Pieve spends a few additional months in botte grande than usual. The wine still breathes in large oak cask, but the environment is slightly more reductive (oxygen-free) compared to smaller barrique, thus allowing for a more complete and slower integration that is necessary in a cool vintage like this. The result is a beautifully complete wine that takes a few minutes to spread its wings. The bouquet starts off with a timid personality, but soon reaches a full regime of red fruit and spice that is so specific to this celebrated selection of Sangiovese from Panzano in Chianti. The September heat (following a gray, soggy summer) helped to eventually achieve fully ripened tannins. There is no greenness or astringency to disturb the soft and velvety mouthfeel. Thanks to severe fruit selection, production of the 2014 Flaccianello della Pieve is one-third less than average. Giovanni Manetti calls 2014 "a vintage of opportunity." Although Panzano saw less average rainfall in 2014 compared to neighboring villages, Fontodi vineyards required double the work that year. This is an impressive achievement.